Halo 5 Review: One of the Best Multiplayer Games? 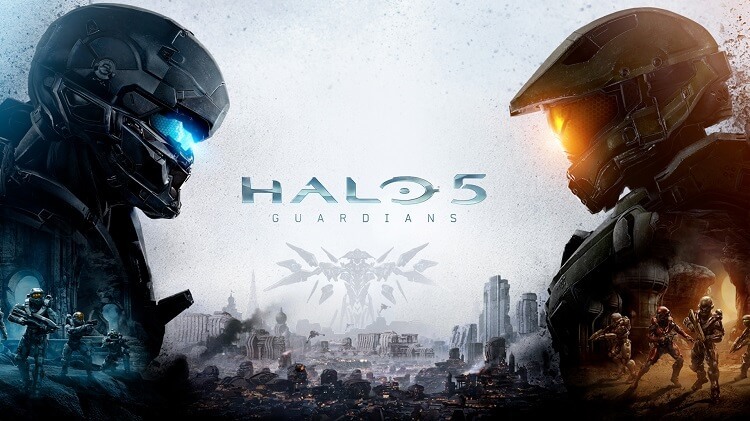 Halo 5 is the fifth numbered entry in the Halo franchise, and the second game made by 343 Studios. The game puts players in the role of Master Chief and the Spartan Locke, picking up after the events of Halo 4 and introducing new enemies to the franchise. The game has a been decisive to say the least, and this Halo 5 review isn’t likely to do much to heal those divisions. Where the game stands in the canon of Halo games – and in the pantheon on online shooters – is debatable, but there’s still a lot to love about the game when taken on its own merits. When Bungie left the Halo series after Reach, there were many people who wondered about the future of the franchise. While the series’ creators hadn’t done everything perfectly, they’d created something that was unique in the gaming space. By the time they left, though, Halo had plenty of competition even on its own home system and the sharks were circling. When 343 took over the series, there was at least a hope that new blood would reinvigorate what was quickly becoming a stagnant franchise. When Halo 4 was released, the community was divided. Some praised the new direction, while others weren’t happy with the changes. Halo 5, it was hoped, might be a good way to put the community back together. When you look at a Halo 5 review, you’re probably looking for an easy answer. If you look online, there’s a lot of very easy, very divisive chatter. It’s either the greatest game ever made or an insult to the very concept of gaming, if you read the forums. The reality is, as usual, somewhat more difficult. 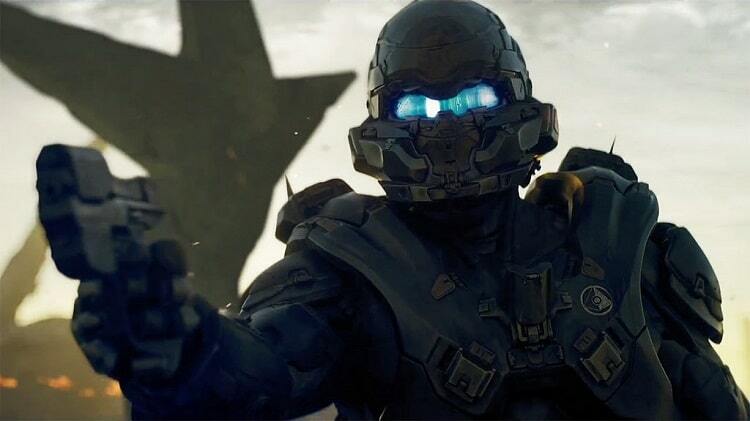 Halo 5 can’t just be judged as a good game – it’s got to be judged as a Halo game. In many ways, there’s a real divide between the two. Your enjoyment of Halo 5 is going to be colored by when you came into the system and how you feel about some of the characters. If you have been there since day one, there’s going to be a lot to complain about. If you jumped in with Halo 4, though, you’re going to find quite a bit to like. Halo’s going to remain a divided community for the time being, so it’s a good idea to figure out where you stand now. While there’s no easy answers as to where the game falls on list of great video games, there are some very clear things that work and that don’t. As with any good Halo 5 review, one has to start with the things that work. In this case, the thing that works so well – thankfully – is the multiplayer. You can forgive a lot in Halo’s single player mode, but a poorly-functioning multiplayer is pretty much a death sentence for this particular genre. Luckily, Halo 5 manages to capture all the fun of multiplayer from previous games and innovates a little bit on top of what came before. Classic modes like SWAT return and are better than ever, with some of the new maps bringing some interesting twists on old formulae. Warzone is the big addition to Halo 5, and it’s probably the thing we loved the most in this Halo 5 review. This new twelve-on-twelve mode features a giant map, easy to understand objectives, and even a few new mechanics based on requisition packs. While there’s a lot of randomness in this mode, it also feels truly new. 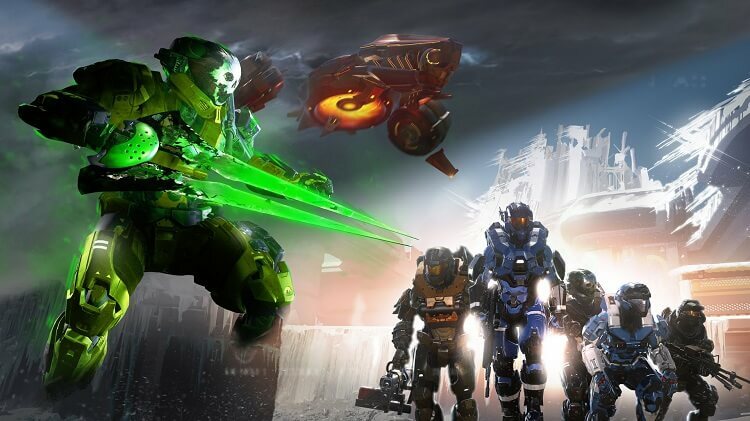 It’s not a mode that anyone has to play, but it’s a mode that delivers on the promise of a next-generation Halo game. It’s far from perfect, but you probably won’t notice the flaws while you’re enjoying the new mode. Now that we’re at the part of the Halo 5 review where we can complain, it’s probably time to bring up that single player campaign again. Simply put, it’s boring. It’s not that it is bad – it’s not, at least from an objective standpoint. There’s arguably some good stuff there with Locke and Chief, and the ending is honestly a great hook. There’s just nothing truly memorable there, though. The enemies you fight are repetitive and you’ll never get that ‘whoa’ moment that Halo truly deserves. It’s just mediocre, and that’s unforgivable for one of the XBOX’s flagship titles. In fact, the greatest sin that this game commits is that it is mediocre. The gunplay and movement are all refined, but they’re not special. The new multiplayer movement options are nice, but they aren’t revolutionary. Halo has always made a point to innovate between games, even if those innovations didn’t quite work. This game just seems to play it safe, and that’s a shame. If the one great thing about Halo 5 is the new mode, it’s obvious that the old systems just aren’t holding up as well as they used to. The game itself is fine, it’s just not particularly thrilling. The good news for XBOX One owners is that Halo 5 runs fine on the system. As a first party game, it’s sure to run even better on Project Scorpio whenever it releases. The game is huge, though, so don’t expect to get much mileage if you have an older XBOX One with a 500GB hard drive. This game, and all of its add-ons, are going to easily take up over ten percent of the total space. If you really want to be competitive, this is one of the few games that really deserves the Elite controller. Having a little extra speed and ease of use will help you live longer and shoot true. The game we’ve based our Halo 5 review on was played with a standard controller, but was played against quite a few people with Elite controllers. We’d like to think that all the losses came due to the controller and not the reviewer’s lack of skill. What’s the verdict of this Halo 5 review? Well, the game honestly falls somewhere in the middle of the debate. It’s not great, but it’s not bad. It’s not exactly the kind of game over which you should get hyped, but you’ll be happy enough if you play it. Stick to the multiplayer for the best experience and don’t be afraid to try out some new modes. Halo 5 is a little disappointing, but only because it didn’t build more on what could have been a fantastic base. It might be up to the next game in the series to recapture Halo’s place in the pantheon of games.